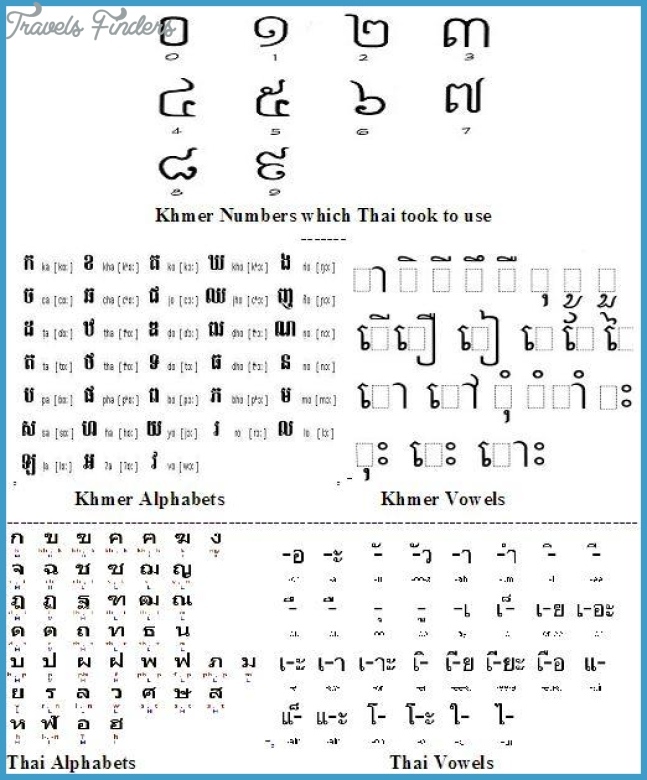 Cambodian language sounds somewhat similar to Chinese. 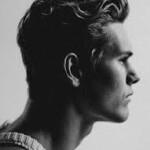 However, despite the similarity, we could not understand each other’s language. 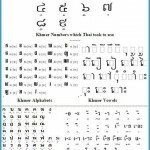 The Cambodian language appears to be unique to Cambodia. 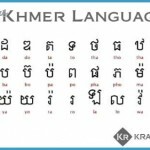 Even neighboring countries such as Champa and Siam, they are unable to understand it either. 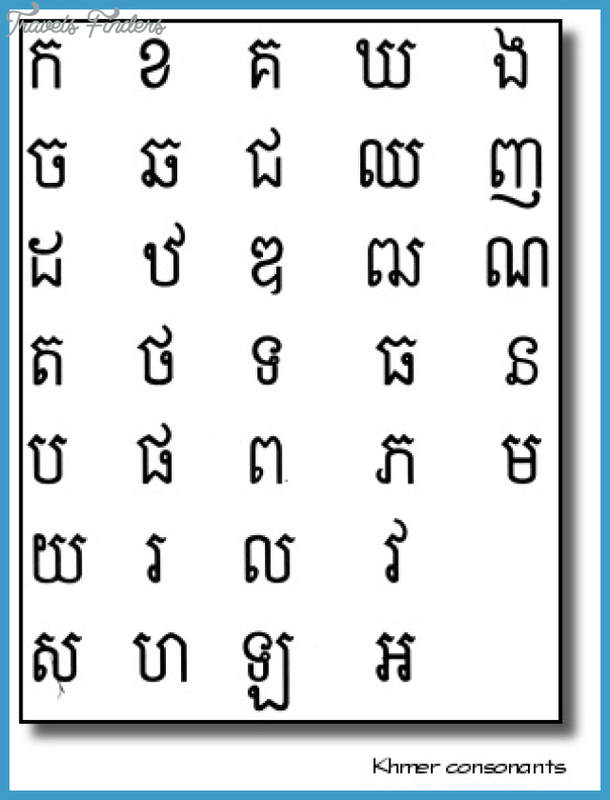 Numerically, Cambodians count 1 as mouy, 2: pik, 3: bek, 4: puon, 5: pu-nam, 6: pu-nam-mouy, 7: pu-nam-pik, 8: pu-nam-bek, 9: pu-nam-puon, 10: tab. Fathers are called Pa-tho, uncles are also called pa-tho. Mothers are called me, so as aunts or neighboring women. Older brothers or sisters are called pong. As for younger sisters or brothers, they are called pov-ong. Maternal uncles are called ngan-lai. The husbands of paternal aunts are called pu-lai. 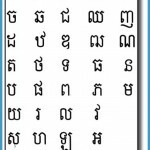 The Cambodians use reverse words order as they speak. For example: Tea Sam is my brother; they would say: This is brother Tea Sam. Or: This is Li Si, my paternal uncle; they would say: This is paternal uncle Li Si. 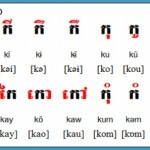 To illustrate further, for instance: pishi stands for Chinese; pa-teng means public official, pan-kheab means scholar. If they wanted to say Chinese officials, they would say officials Chinese or pa-teng pishi not pishi pa-teng. These are just some brief examples. Another noticeable linguistic fact is the use of different terms for different groups of people in society. 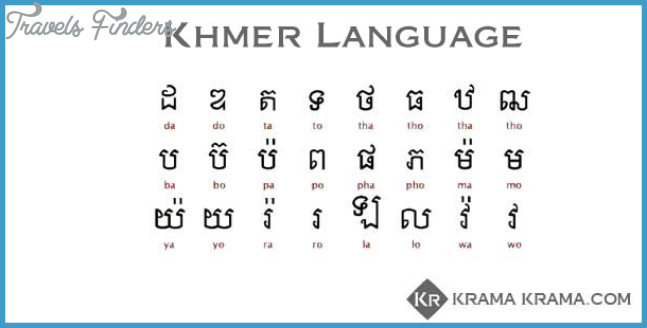 For example, members of the royal circle, court officials, scholars, monks, priests, or farmers have all had their own sets of vocabulary to address one another, just like the way we practice in China.